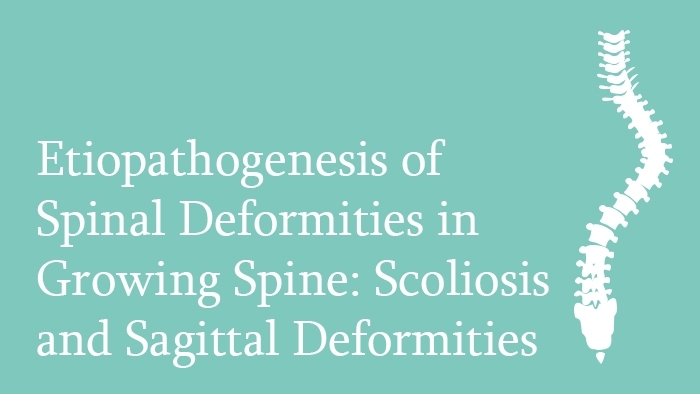 This spine surgery lecture is about the etiopathogenesis of scoliosis and sagittal deformities, including kyphosis and lordosis. The spinal deformities (scoliosis, kyphosis, lordosis) of any etiology are often combined, and must be addressed together in a three dimensional vision. 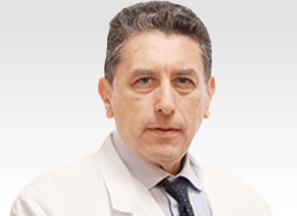 Defining the precise etiology of any deformity is the first mandatory step before any kind of treatment. The etiology of idiopathic scoliosis is multifactorial, and includes genetic factors, which are crucial and well documented but still somewhat elusive, as well as neurologic, metabolic and biomechanical factors. Neuromuscular scoliosis is the most common type of secondary scoliosis, and in this group the prevalent cause is cerebral palsy. In sagittal deformities such as Scheuermann disease genetic factors appear to be critical, but environmental contribution may also play a relevant role. To understand that basic deformities (Scoliosis, Kyphosis and Lordosis) are often combined.